Remember, the Bollycks being after Martina? Well, now you do. I think I need rest. I really do love all of the cast, but Dimitri continues to hold the place at the top. He’s just way too much fun. Dimitri should be getting his own three picture movie deal real soon. Or at least replace that “Most interesting guy in the world” dude. for a bit there i had forgotten that they were all specially chosen to represent their planet. and then im like… oh yeah, theyre not a rag tag buch of misfits after all. If Dimitri gets any more awesome, he’ll collapse into a black hole of awesomeness. This page literally made me laugh out loud. Dimitri is the perfect Russian. Well it may not matter that Martina is put in difficult position by Dimitri’s subterfuge, nobody has any idea where she is. And if she’s smart she’ll keep it that way. I find it interesting that Martina, arguably the most non-violent member of the group, is the one who has the reputation for genocide. It’s been pointed out before, but she’s a very nice person, yet capable of extreme ruthlessness when necessary. It makes her decision to punish herself with seclusion much more understandable – even if everyone else approves of her actions, she never will. One could argue (since you said “arguably,” @Sabreur) that Pierrot is the most non-violent member of the group, especially if you base it on repeatedly stated policies. Martina began by going along to get along, whereas Pierrot was actively pushing nonviolence right off the shuttle, so to speak. And, just like Martina, Pierrot’s become a reluctant hero, with plenty of violence along the way. What a great space yarn this is. As I see it, Pierrot is VERY violent. What was the first thing we saw him do? Punch out his friend for hurting an animal. It’s like his instinctive anger response: hit someone. Yah, I agree. Pierrot has strong personal moral/ethical standards, but he also has a lot of anger: we’ve seen him get wound up into a righteous fury multiple times. Martina’s pretty much always gentle by nature. She really has to be backed into a corner to resort to violence, and even then she’s dragging herself painfully to do it. And then she wants to get it over with as efficiently as possible, and what people see is the end result. Hence her reputation. And yeah, Dimitri is totally the coolest dude in the universe. 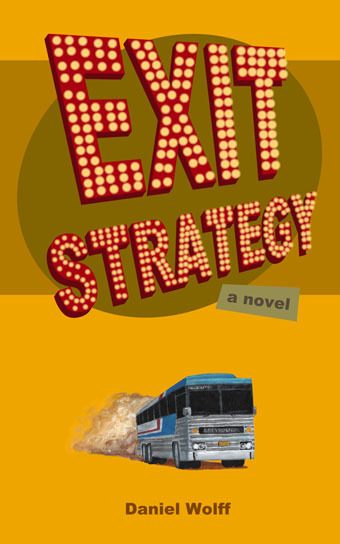 I bought and read Exit Strategy, and it’s darkly hysterical. Made me glad I live on the West Coast; those other places are just frackin’ weird, I tell ya…(well, okay, so is here, but I’m used to here) What else has he written? Dimitri is so awesome, that any other arc is less fun. Martina is so depressing now, completely understandable. But, I am quite liking Pierrot and, whats her name? Damn, not intentional. But still, so true. Dimitri is the neutronium of awesome, no doubt, but I don’t really think we’re in danger of him overshadowing the other characters. I was tempted to write a summary hear of how I think each of the six humans stands in relation to various deep issues concerning violence and ethics but it grew to be too long. But in doing that, I realized how deep each of the characters are or can be, yes, even Dustin, and how much each has to still has stuff to resolve now. I think it’s a huge tribute to Chris on how he built these characters! For example, here’s something to think about. What would happen to Dimitri is something prevented him from drinking? He’s sort of like those drunken style martial artists in the funnier martial arts movies–they only get good when they’re plastered. He’s very Zen or Tao that way. Until then, he’s got cosmic levels of chutzpah and laser-like skills at timing things to come out on top, but he’s got a crutch. He’s what I call a nursing alcoholic. He’s just nursing a never empty glass all day long. This leaves him functional, highly so in fact, but he’s walking around numb and detached. I’ve known a few alcoholics like that. And they go to pieces when the steady, hourly infusion of booze stops. Ah, this is still getting too long. Never mind. I’ll leave it here. Remember, the Bollycks being after Martina? Yes I did. Remember who Interplanet Amity and Boans are? Nope… who are they? @Mrtt, ha! Indeed. Here you go, Rikshaw Boans. How can anyone forget Rikshaw? He’s literally the first (and practically only) character you see in the first strip. The Bollyck’s on the other hand, I’m drawing a bit of a blank on. Awesome! A tag for Criykiness! But wait… no tag for Bollycks? …and it’s Criykeess not Criykiness. Fail. Dimitri has evolved into the character that everyone loves to love despite Christopher’s intention. Martina is still the protagonist, but a character like Dimitri tends to break away from their author. 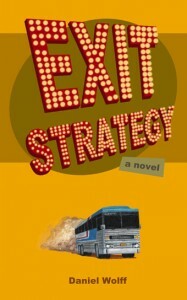 It’s a sign of good writing: if Chris doesn’t know what Dimitri’s going to do next, if he’s forced to write it because that’s just what that character’s gonna do anyway… I sympathize with Christopher when his characters write their own lines and messing up any arch he may have thought he had planned for them. That happens because, Chris, you’re just that good. They write their own stories, you just put it on paper (yes I know it’s the internet not paper except for the books). By allowing your characters to “write their own parts” you’re creating a hell of a story. We love Dimitri, love to hate Dustin, and want to support Martina. Thanks, dude.